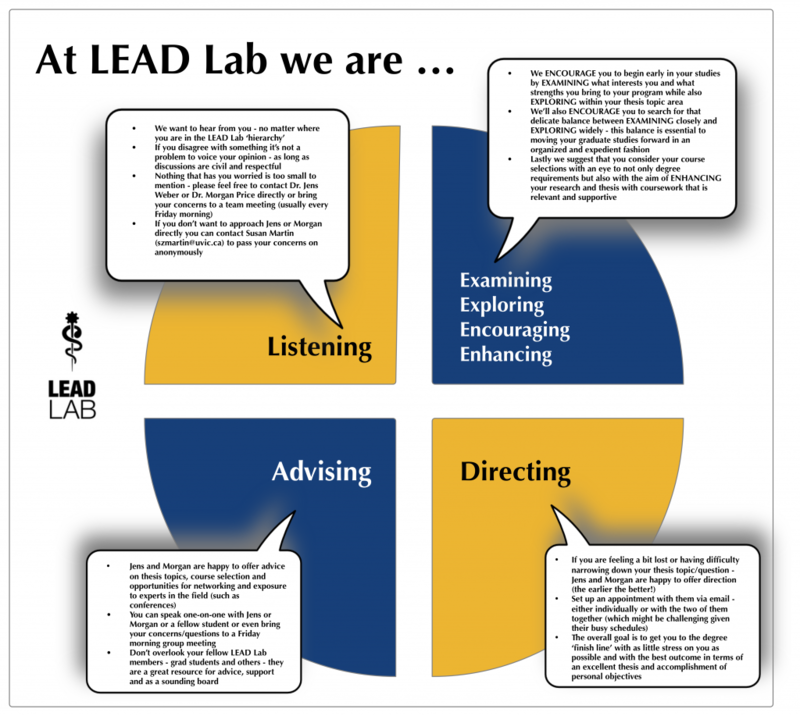 Blog | LEAD Lab | Learn. Engineer. Act. Design. Functional Programming (or fp as it is often called) is a paradigm of programming which aims at describing what we want to do rather than how we want to do it. The entire universe of fp revolves around the concept of pure functions. A pure function is a function where the return value is only determined by its input values, without observable side effects. Imagine if you will, a conveyor belt which takes in raw material as input. There are a lot of tools which process the input as it goes along, eventually producing the desired result. You can consider the concept of functional programming to be similar to the above situation in a number of ways. The conveyor belt can be thought of as the program with each of the tools being a pure function(does not produce any external side effects, depends only on input). The only difference is that on the belt, the original resource is modified in place, whereas in the program, the data is worked upon and a new instance is passed on to the next function. Although fp has been around for a while, due to the advent of multi-core systems, big data and distributed computing it is seeing a resurgence in terms of interest in the programming community. It is backed by very strong literature and there is a lot of ongoing research on the same. Immutable Data structures: This considerably reduces the resources we spend on memory allocation and storage. So, how do we program with such an impairment? Rather than passing data around, we can operate on the data and create a new instance. This is still more efficient than modifying it in place. It allows the compiler to make certain assumptions that are unsafe in an imperative language. Higher Order functions: We can consider them as functions which take in other functions as arguments or return them as results. The idea is derived from lambda calculus. One of the best examples of a HOF is the function map which takes in a function as an argument and maps it to the list of elements provided as the second argument. Since each function application is independent of another(assuming pure functions) there is a lot of scope for improving the approach by running the same program on a multi-core system. Each of the results can then be aggregated using a function such as reduce. Seperation of Functions and Values: To an OO person, the concept of encapsulation is very pivotal while programming. This allows the class to have an internal state which can be modified by calling class methods which operate on these values. In fp, both of these entities are clearly seperated. Statelessness: Since all the functions are pure they have no idea of what has happened or what is going to happen to the input it receives. It only cares about operating on the data and producing the output. This fact combined with immutability is extremely useful for unit testing since each function has a specified set of duties it has to perform and in doing so, it will not affect any external state/variables. The state of the program is kep local and methods(or functions) are completely pure in the fact that they do not hide any abstraction. Clojure is a dynamic, general purpose programming language, combining the approachability and interactive development of a scripting language with an efficient and robust infrastructure for multithreaded programming. Rich Hickey is a genius. Clojure sits on top of the JVM, leverages Java’s type system and supports calling Java code from within. Clojure has a set of internal data structures such as maps, sets, vectors and lists. It also supports lazy sequences, immutability and persistent data structures. It also boasts of a typical Lisp syntax(which can be a little intimidating for the novice programmer). I was inspired by the solution to the problem as given by Peter Henderson in his book on Functional Programming and its applications. It is described in a very general manner and I thought it would be interesting to implement it in Clojure using a few of my own variations. It’s awesome. It’s functional and thinking functionally gives you a way to come up with interesting solutions to common problems encountered during programming. Dimensional Analysis is a very simple method to check if a physical equation is valid or not. The dimensions of a quantity refer to the type of units that must be used in order to obtain the measure of that quantity. The type of units used are the 7 fundamental units which cannot be described with the help of anything else. We will be looking mainly at equations which involve quantities made up of Mass(M), Length(L) and Time(T). We will assume that the equation is linear in all the physical variables and operators used are that of multiplication, division, addition and subtraction. Although this makes things a lot simpler than they already are, it will help us set up a basic framework for solving such a problem. Assume that we have a set of variable quantities v1, v2, etc. each with a unique single alphabet symbol, and a given set of dimensions a1, a2, etc. 1. If the equation is dimensionally correct. 2. The dimension of the resulting quantity. Let us assume a very straightforward model of an equation. We will consider that the equation is made up of Expression(s). Each Expression has a Left Hand Side(LHS) and a Right Hand Side(RHS) with an Operator acting upon them. The most fundamental quantity in the equation will be an Atom. An Atom can be a constant or a variable. Each quantity has a Dimension where we mention the exponents to the base quantities. We will be using schema for data descriptions. schema provides us to functions validate the data and find out if it conforms to the given schema descriptions. ;; schema is required as 's'. ;; Dimension will contain the exponents to M(Mass), L(Length) and T(Time). ;; With s/Int, we specify that the values have to be integral. ;; An Atom will contain a type specifying if it is a variable or a constant. ;; Let us also have the symbol of the variable, in the data definition. ;; Most importantly, the dimension of the quantity has to be mentioned as well. ;; As you will observe, the dimension is described in terms of the earler schema. ;; This will help in Atom validation. ;; Let us also define the dimension for a constant quantity. ;; Since it is a constant it will not have exponents in any of the quantities. ;; subtraction, division and multiplication. ;; The model is so designed that it can be easily extended to other operations. ;; We will now describe the definition for Expression. ;; An expression can be described in a recursive manner. ;; The LHS and the RHS both can be Expressions or Atoms. schema provides a nice way to do this. ;; We first check if the data in the LHS quantity has a Type field. ;; If it does, we know that it is an Atom, and we direct the checker to validate it for us. ;; Instead, if it does not, we can check for an Expression instead. ;; This can definitely be optimized but I thought this was one way to do it. Now, that we have the basic definitions sorted out, we can look forward to implementing some functions for checking dimensional correctness. Input is an Atom. We can then return the dimension of the quantity. Input is a constant. We can then return Constant which is basically a dimensionless quantity. Input is an Expression with Operator :add. In this case, we need to check if the HS and the RHS have the same dimensions. If they do, we can return dimension of either. If they do not, we then return an undefined value (say UNDEF). Similar is the case for subtraction as well. Input is an Expression with Operator :multiply. We don’t need to check anything for this, but we return a sum of the dimensions of the two quantities involved. Input is an Expression with Operator :divide. Again, we return the difference between the dimensions of the numerator(LHS) and the denominator(RHS). ;; A generic undefined value. We can use this to convey that the equation is dimensionally incorrect. ;; Used to calculate the dimensions of the reulting quantity after the product of the two inputs. ;; If either of the quantities is UNDEF, this function returns UNDEF. ; Used to calculate the dimensions of the reulting quantity after the divison of the two inputs. 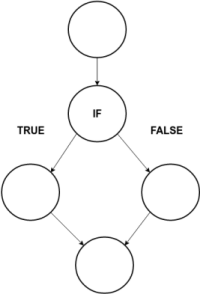 ;; Main logic function. Takes in an expression as an argument. ;; based on the Expression map provided to it. ;; If the equation is dimensionally incorrect, it will return UNDEF. Now that we have the general setup ready, we can go ahead and worry about actually taking user input and parsing it into the given Expression format. For this, we will be using the instaparse library. It allows you to specify your own grammer and builds a tree around the same. 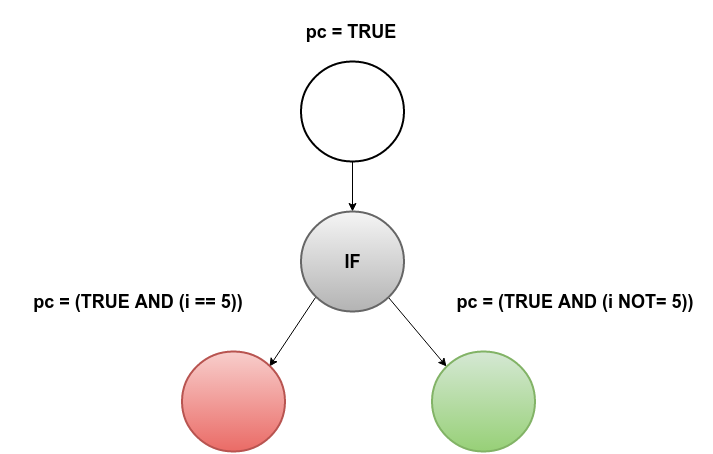 We basically can use a parse tree which is used for arithmetic and make a few changes to it to include the physics-terms or as I would refer to them as pterms. ;; Introducing pterm as a new grammer rule. ;; pterm is basically a coefficient and multiple symbols multiplied together. ;; The output format specified here is :enlive which will help us in formatting the parsed data later. ;; instaparse provides us with an awesome function which is known as transform. ;; act upon each node data and replace it by operating upon it. ;; map, hence we provide it the identity function. ;; This allows us to simplify the function logic to a great extent. ;; each representing a side of the operation. ;; As mentioned before, this is true for all functions. replace-coefficient: Since a co-efficient is going to be a constant, we can just create an Atom map for the constant and return it. The Symbol for it can be the value of the co-efficient. replace-term: As we can see from the parsing rules above, term will always contain integral value and hence we can just return the Constant defined earlier. ;; The pterm is basically a multiplication of the co-efficient term and the symbol terms. ;; Now, this is a bit complicated. ;; Now, we can have multiple symbols being multiplied to each other. ;; can either be an Atom or an Expression. ;; This exact same algorithm is implemented below. ;; It takes in the first element of the symbol list and recurses on the rest. ;; can create an multiplication Expression. All well and good. The only remaining piece in the puzzle, is find-sym. This is basically a lookup function into an Assoc-list. Henderson defines a map/list as an Assoc-list if we can look up the symbol dimensions into it. Easy. ;; Defines the variable 'v' as an Atom. ;; Simple lookup into the Assoc-List map. ;; Returns UNDEF if not found. ;; We can have the user populate this map as an earlier exercise. P.S: I am a novice Clojure programmer. Do suggest improvements in my coding style and the above code itself. It is hosted on my Github. This entry was posted in Uncategorized and tagged Clojure, Software Engineering on July 27, 2016 by drpriceless. Health care is an information intensive domain in which contemporary software engineering techniques are ill-equipped to operate. Systems engineering techniques seem to handle the problems more easily (though significant work is required). Though health care professionals and engineers seem to collaborate in these environments, they each fail to fully grasp the perspective of the other; this results in “half-way” solutions which, address an immediate need but are brittle and ultimately result in system instability. The good news, in my opinion, is that the solutions to these problems do not require tremendous innovation in science or engineering. Instead, they require the correct allocation of human resources to the right problems. In fact, allocation of resources (including humans) is one of the three main views (others are static and dynamic structures) from which you can consider the architecture of a software system; these problems are architectural in nature. I think, the solution to (1) is to bring software engineers to tables in which systems decisions are made. Kevin Sullivan made this point beautifully in one of the workshop discussions. He indicated that software engineers are trained to think about systems issues already; if they can be part of the discussion about the socio-technical systems in health care then we will begin to see progress. (2) is a matter of education; interestingly though, I think, the problem cannot be addressed by another classroom course in a standard undergraduate education. In my experience, the knowledge required to understand the complexity of the operations being carried out in both health care and software engineering requires a more tacit type of knowledge one can only acquire by activity being part of the environment. Joachim Reiss, VP of R&D at Siemens Health Care, made this point exquisitely clear in his keynote presentation: we need to get engineers into hospitals and health care providers into design labs. Of course, neither of these problems are trivial, they involve complex social and political structures that make change, especially social change, tremendously difficult. This is simultaneously a great and maddening realization. It is nice to know that we are very capable effecting massive change in health care systems through social change, however it is clear from history (and recent events) that social change can be extremely difficult to enact on a large scale. Sadly, as much as I wish we could, we cannot rely strictly on engineering to get solve this problem for us. This entry was posted in Uncategorized on May 18, 2016 by drpriceless. A Twitter conversation is a series of tweets that usually revolve around an initial tweet. The initial tweet is defined as the root of the conversation, and the rest of the tweets in the conversation would “stem” or “branch” from the root. Finding the root is relatively simple. For example, to find the root of a conversation (or conversations) about “warfarin” a keyword search is performed. Any tweet containing the word “warfarin” would be considered to be a conversation root. The trick is how to define and find “branching”. Branches are tweets that can form a coherent conversation when attached to the root. One technique is to look for linguistic and textual cues to indicate possible branches. Possible initial branches are replies to the root. Replies to the root tweet cannot be found directly. They can only be found through replies to the user that tweets the root (root user) through the @ symbol (or other variations). So a @root_user string would indicate a reply to the root user, which could be a reply to the root tweet or a reply to another one of the root user’s tweets. Also, any @ in the root tweet indicates that the root user is replying, to another user, with the root tweet. These users being replied to could also potentially write tweets related to the root tweet (reply-to tweets). Figure 1 below illustrates the different components of a twitter conversation. To find whether a reply or a reply-to tweet is a branch of the root tweet (and therefore part of the conversation), further natural language analysis is required. Such tweets must form a coherent conversation with each other and with the root. The key for finding coherent conversations is to find terms that are possibly related that would act as links between the tweets. For example, a drug and an adverse drug event (ADE) could be related terms. Using such links as a starting point, dependency parsing algorithms would do the heavy lifting of connecting individual tweets into a conversation. The shortest dependency path measure [Liu and Chen 2013] (see figure 2 for example) could be used to find terms with a high probability of being related terms. Reply and Reply-to tweet network extend beyond the root tweet as each reply and reply-to tweet to the root can have its own reply and reply-to tweets. Reply and Reply-to tweets can form interesting networks. Well connected users or central users in such a network can be very important parts of a conversation and deserve special attention. These networks are directed graphs where each node would represent a user, and each node would be a tweet pointing from the sending user towards the receiving user. There are two main measures of centrality for each user in a reply and reply-to directed user network. Closeness centrality measures the average shortest path between a user and all the other users in the network. Betweeness centrality measures the number of shortest paths where a user is in the shortest path between two users. It is usually expressed as a probability that a certain user will be in the shortest path between any two users in the network. Both measures point out users that maybe central and important part of a conversation. The tweets of these users could form the main parts of a conversation. Figure 3 illustrates one example of these networks. This entry was posted in Natural Language Processing, Network Analysis, Social Networks on May 11, 2016 by drpriceless. We have been kicking off our ePRO study (more on this study later) and there are a range of partners in the study. We needed to quickly progress to a level of detail in requirements to ensure common ground even before we get IP and ethics in place. For this work, I have chosen to use Gherkin, trying to drive some behaviour driven development (BDD). We are not expecting that we will use Gherkin throughout the development — each of the partners has their own methods and tooling and Gherkin / Cucumber is not used. Gherkin does provide a clear and accessible convention to structure requirements as features and scenarios. Further, as domain specific languages are becoming a popular topic in our lab, it seems fitting to use another one for requirements. We have completed several drafts of the requirements iterating with our partners. The requirements have grown from a half dozen high-level features to 20 pages of more detailed features and scenarios. We have found it useful to organize the features around several actors and the partner / data streams. This works well, given how the project is structured as well as how the ePRO intervention was conceptualized. These requirements now include details such as example data to help the team members. Gherkin’s structure was well suited for this kind of work and the organization by actor was definitely useful. Gherkin: Business Readable? Business Writable? I appreciated a post from Martin Fowler reflecting if domain specific languages should be business readable or business writable. In our project, so far, it has been used in a business readable manner. That is, I have been the primary author and I invited comments from the team. Business owners are providing feedback, questions, changes, and notice areas where there is need for more detail. My role in our team is often a bridging role – I span clinical and information science – and that seems to be a good fit for me using a language like Gherkin. This work will feed into some user centred design and testing cycles for ePRO that I am very much looking forward to starting. This entry was posted in Uncategorized on April 5, 2016 by drpriceless. I recently attended a presentation by John Boyer, a Chief Architect on IBM’s Watson project. The presentation was about the Watson technology that IBM has, and continues to, develop. This was the second Watson presentation I have attended, the first was at CASCON 2014 where an IBM VP gave a keynote lecture. I must admit, after both presentations I walked away feel rather disappointed. I must preface the remainder of this post by stating that this represents my opinion based on the information I have gathered through these presentations and reading the news. I could be entirely wrong. The feeling of disappointment stems from what I thought Watson was. Before attending these presentations I had watched Watson play jeopardy and read multiple news stories about this fantastic new technology, it felt like Watson was a huge step forward, and it was going to meet all of our analytics needs for all of eternity and make me coffee every morning. I expected these presentations to dazzle and amaze me with new and exciting machine learning techniques or to provide some deep philosophical insight regarding AI. After all, IBM must some “secret sauce” that makes this tech work, right? In retrospect, it is not surprising that I was disappointed, I set myself up for it. Anytime someone attributes a “god-like” status to anything, technology or other, they will inevitability be disappointed in some respect. As far as I can tell, Watson is an aggregation of the numerous machine learning and data mining techniques developed over the last 50 or so years. Of course, IBM has improved and tuned these approaches. However, in the end they are relying the same basic approaches that the rest of the machine learning and data mining community rely upon. These have been combined in to support exactly one task: answering questions. The entire purpose of Watson is to answer the questions based on the (potentially vast) amount of information available. This approach has allowed IBM to focus their efforts, there are numerous tasks that Watson can’t, and never will be able to, do, simply because it wasn’t designed for them. Watson isn’t some fantastically brilliant AI using some revolutionary algorithm or technique, it is just a (really big) program, and an excellent example of what contemporary machine learning is capable of at scale. Watson is, in my opinion, a feat of engineering. Given that it uses the current state-of-the-art machine learning techniques, and not some IBM secret sauce, then it is an exceptionally well executed version of a machine learning tool. A tremendous amount of engineering effort has gone into bringing together different machine learning approaches and unifying them into package that can be deployed in a breadth of application domains (health care, finance, business management, security etc…). The complexity of a single domain, if not managed properly, is often enough to cripple most software projects; Watson takes this complexity in stride and provides value to its customers. I think the most interesting thing about Watson, isn’t Watson itself but its application to different domains. IBM has taken approaches that have existed primarily in academia and made them accessible, on a huge scale, to the world. The value of machine learning and data mining techniques increases as we increase the amount of data processed. Watson will allow us process tremendous amounts of information, and to really understand the impact of machine learning in different application domains. Finally, I think Watson provides us with the opportunity to understand the limitations of current machine learning techniques. What problems with these approaches will manifest at scale? At what point is machine learning no longer viable, how will we know when we reach that point, and what will we do after that? In conclusion, I am disappointed that Watson isn’t some out of this world piece of technology, I really expected to be blown away. Upon reflection, this appears to have been a naive opinion, life lesson: “there is no silver bullet”. However, Watson is an exceptional tool that will change how we approach problems in numerous domains, but it is just that: a tool. This entry was posted in Uncategorized on March 2, 2016 by drpriceless.